Donald Trump reminds me of my friend that never studys yet somehow gets good grades. Trump just beat Hillary Clinton, a career politican for around 30 years, and did so with very little experience! 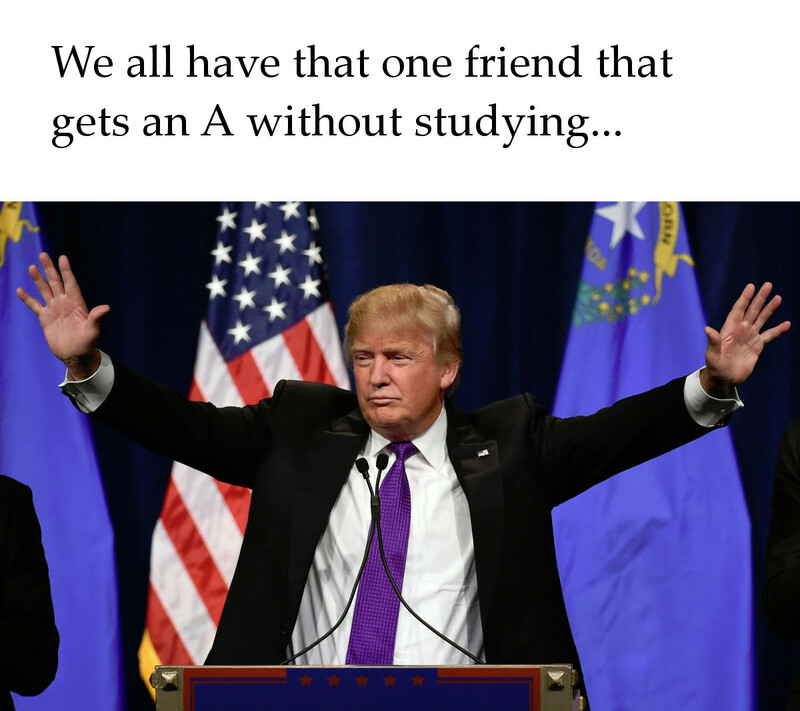 If he can be president of the United States of America without studying, then I should be able to get an A on my exam without studying!